Enjoy the sound of falling water with the Medium Rock Falls Fountain by Henri Studio. Made of cast stone for a lifetime of enjoyment. 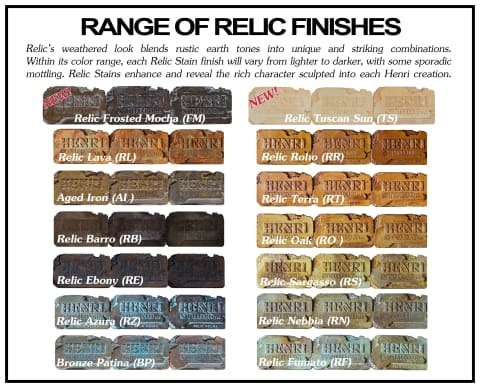 The Medium Fall Fountain can be stained in any of the current Henri Studio's finishes. Shown in Relic Lava. Optional light for a nighttime shimmering effect.